Bellow are the results from our weekend survey. We had about 100 responses with some very interesting results. 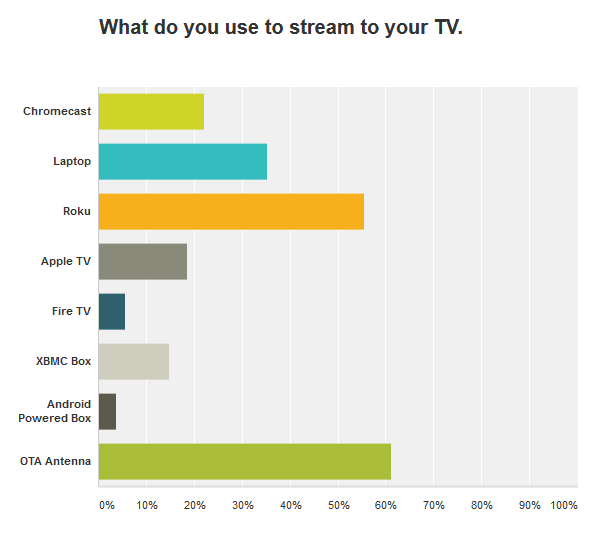 I was a little surprised at the low turn out for XMBC Boxes and Fire TV for being so new had a strong showing. Clearly Roku continues to hold on as the leader in this market. 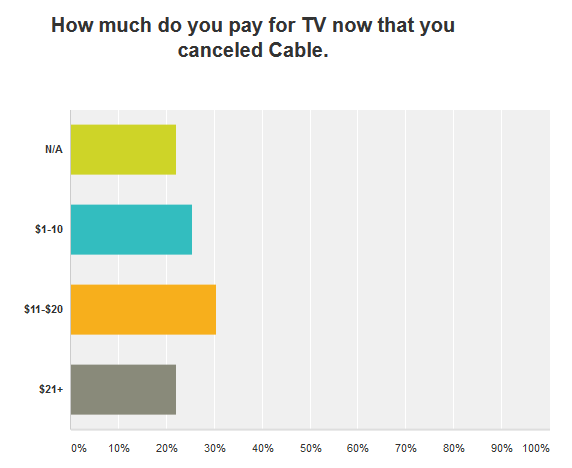 These results are very consistent with Cable viewers. 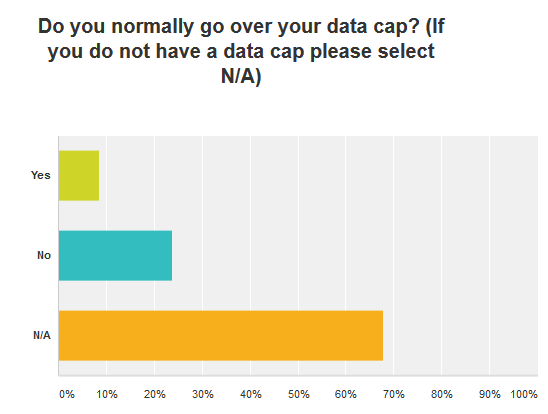 I was shocked that 70% of responders say they do not have a data cap. 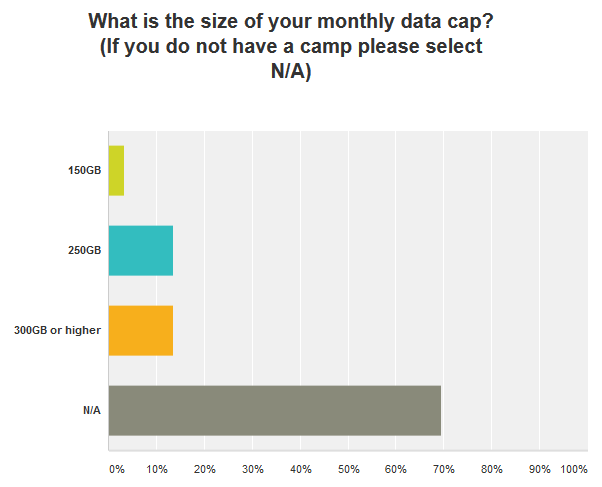 Only about 8% said they go over their data caps. Netflix is the clear winner with over 94% subscribing. 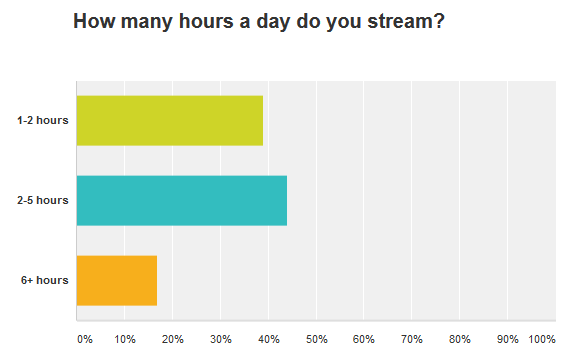 I was surprised to see less than 40% said they use Torrents. Not sure if we should put the lower than expected torrent use to increased accessibility of legal paid services or people being less than honest in responding. 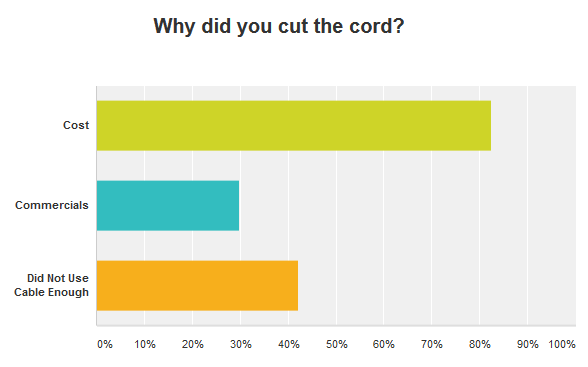 No surprise here the average cord cutter pays less than $20 a month. It definitely seams that somewhere between $70-100 is the breaking point for many cord cutters that had paid for cable. 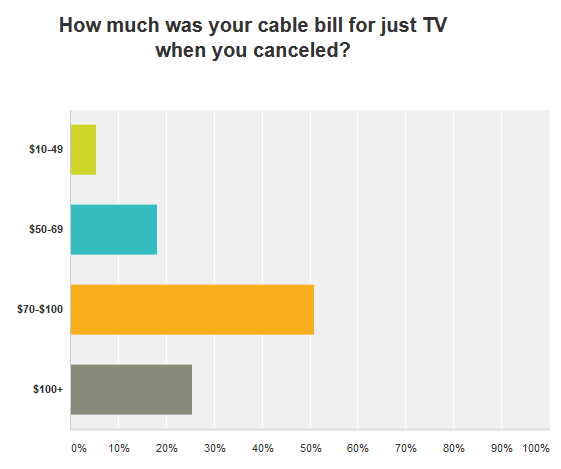 These results definitely go against the Cable industry concept that cord cutting is something just millennials do. 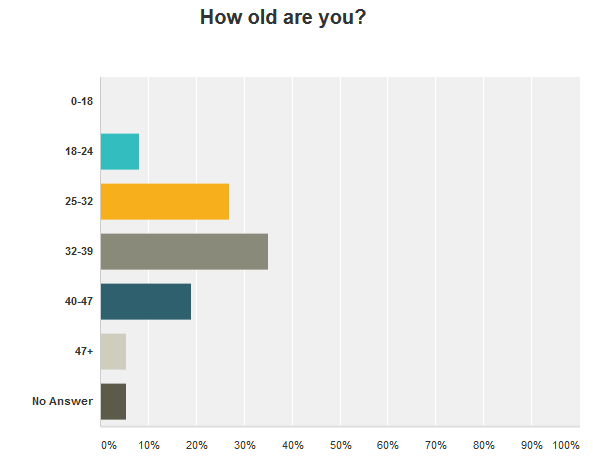 If anything this poll suggests people born in the 1970s and 1980s maybe driving this movement. 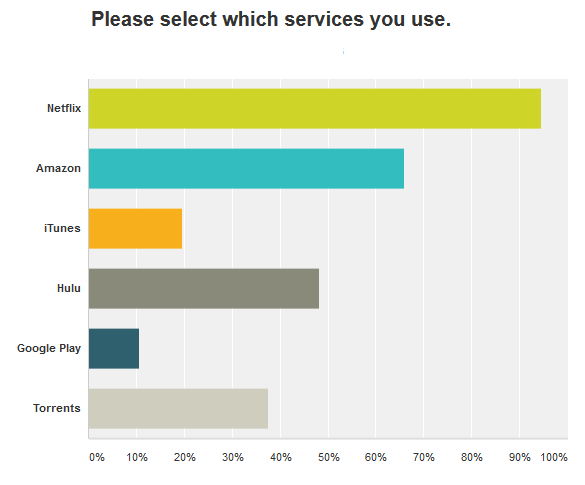 Cord Cutters News Summery: Defiantly surprised by the age survey. Clearly with in this small sample it dose not line up with the Cable Companies storyline. With less than 10% of responders being under 24 years old is a devastating number to cable companies. We will defiantly be doing this survey again in the 3rd quarter 2014.